We booked a trip to Charleston, SC based on the very cheap JetBlue fares, and it just worked out that there was a kosher restaurant opening a few weeks before our arrival. 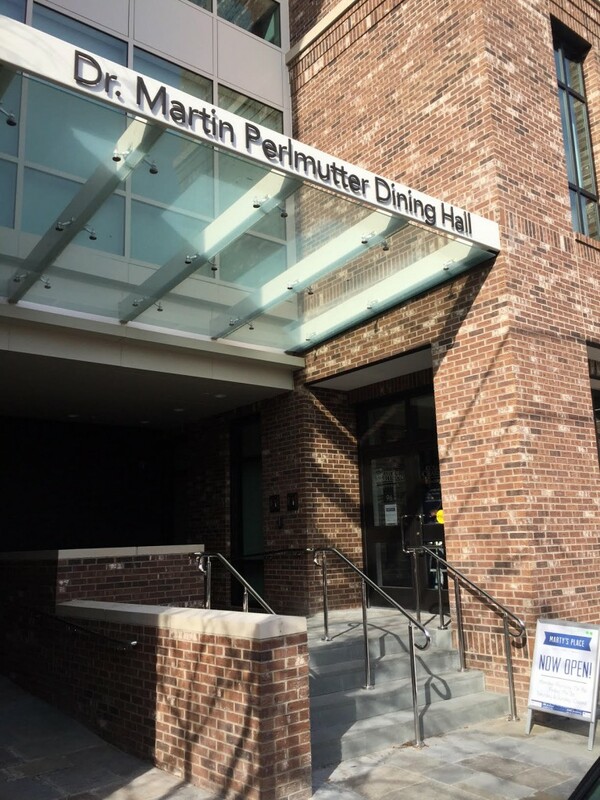 Charleston’s only actual restaurant (there are other kosher options, but not a fully fledged kosher restaurant – more to come on that), Marty’s Place opened in early 2016 at the College of Charleston, inside their brand new Jewish Studies Program building, which is very centrally located if you’re touring the city. 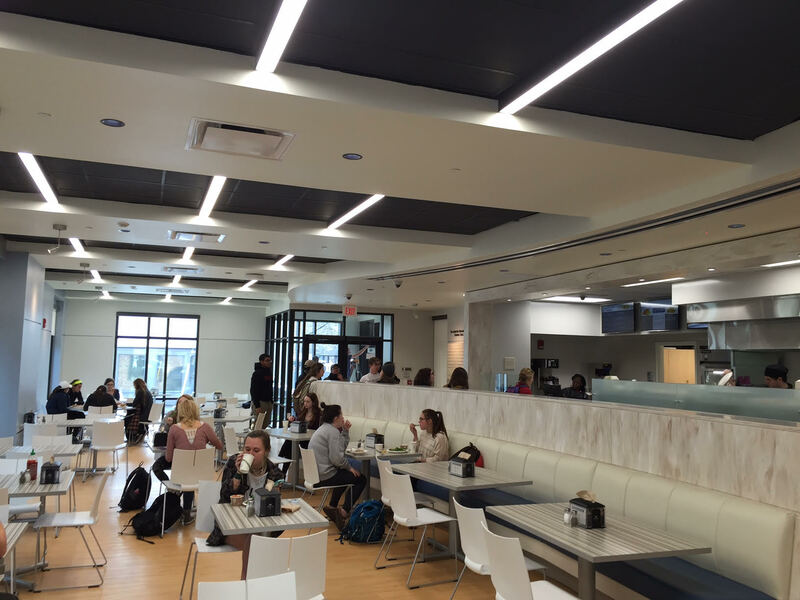 The cafeteria-style eatery serves a fully vegan menu, with attractive pricing and tasty options. I took my family there twice for lunches and we were not disappointed. The building is brand new, only open for 2 weeks when we got there, and the eatery is very modern, clean, and spacious. Nearly everything is compostable and they have a compost chute to throw away all of your disposable plates & cutlery. Very few restaurants anywhere, let alone kosher ones, are this green. This might be the “greenest” kosher restaurant I’m aware of. The menu isn’t particularly large, offering 3 options in each of the following categories: Salads, Sandwiches, Entreés, as well as 1 soup of the day, and 5 sides. The salads were the only things we didn’t try. They offer a Mexican Quinoa salad, a Caesar salad, and a Mezze platter which includes tabbouleh & homemade pita. Salads are very affordable at $5.99 and are $7.99 if you include a drink + a side. Lentil Tacos (topped with a carrot jicama slaw). I found that the Burger and Torta were similarly constructed but had a very different taste. The torta was better (in my opinion), although both were tasty. The tacos were good as well, but ultimately the torta was the best of the 3. Generally, the fillings for these sandwiches have a mushier texture than what you’d expect if it wasn’t vegan, so keep that in mind. Sandwiches are also very affordable at $5.99 and are $7.99 if you include a drink + a side. 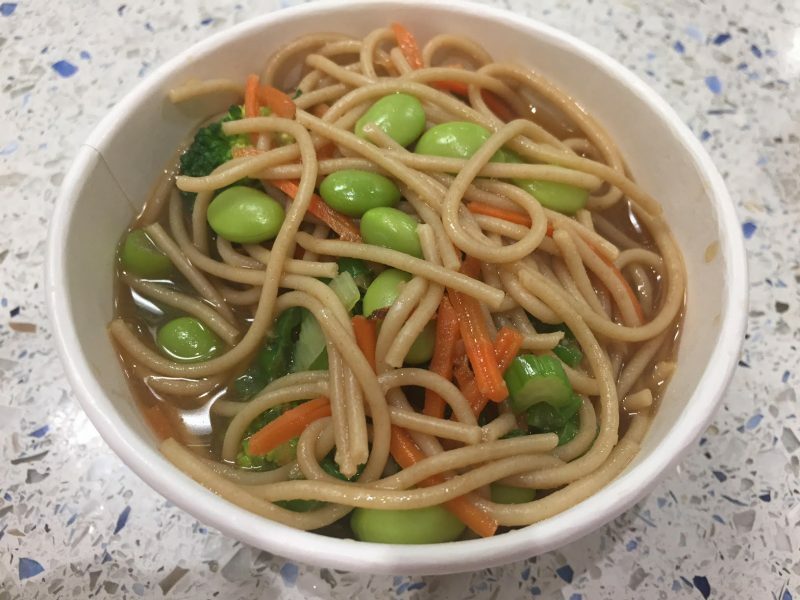 Noodle Bowl – whole wheat linguine served in a miso broth w/ a choice of up to 5 veggies: scallions, carrots, bean sprouts, kale, edamame, red pepper, and broccoli. Was a very tasty and light Asian inspired dish. Hummus & Pita – they change up their hummus flavors daily. We tried the Garden Vegetable hummus one day and the Southwestern hummus the next. Both were good, but the Southwestern one had me licking it clean. Sriracha Cauliflower – this was very spicy and reminded us of Hot Wings. If you are vegan / vegetarian and always wanted to try hot wings, this is a pretty decent substitute. If you’re not used to Sriracha level of spicy, this may be too much for you. Drinks offered included sweetened and unsweetened iced tea and lemonade, as well as orange flavored water, all made there. The sweetened iced tea was very refreshing. Overall, the food was very good, especially if you like vegan. Not as good as By Chloe or Cinnamon Snail in NYC, but still very good nonetheless, and with the dearth of kosher options in Charleston, I was very happy Marty’s Place was there. My only gripe is that the portions for the sandwiches/entreés could be a little bigger, but with the prices as cheap as they are, I made no qualms about ordering more items to fill me up. Marty’s Place is under the kashrut of the KCC (Kosher Commission of Charleston) with a mashgiach temidi on premises. They are open for lunch & dinner from 11am-8pm M-Th, 11am-3pm on Fridays, and closed on weekends.